11 Mukhi Rudraksha is regarded as the light mass of Lord Rudra Shiva (Eleven Rudras). For the devotees of Lord Shiva it is the most effective and most successful Rudraksha. 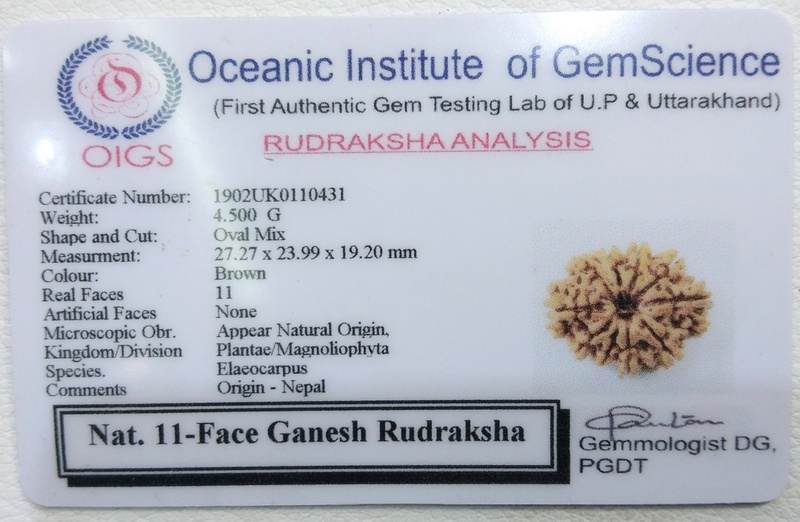 There are eleven Rudras and the eleventh Rudra is Lord Hanuman and taking his name ghosts and evil spirits run away. He is full of learning, virtues, cleverness and wisdom. 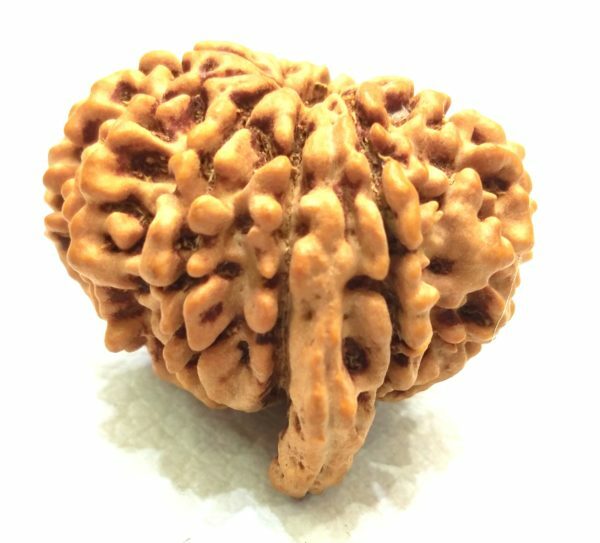 Therefore, all these virtues are filled in the man who wears this eleven faced rudraksha. It makes the wearer strong, wise, healthy and without disease. 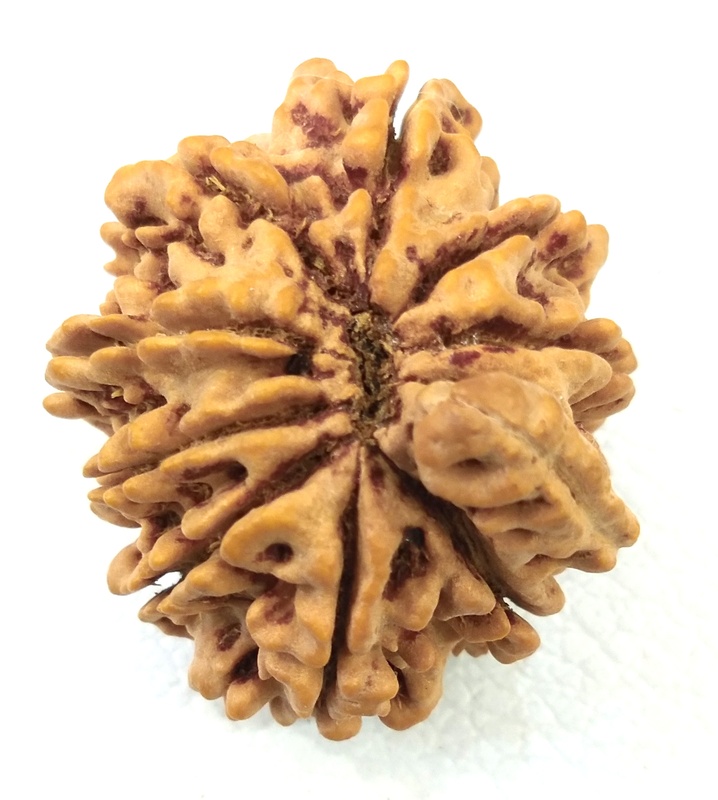 This Rudraksha is the symbol of Indra, the king of Gods. It gives the wearer permanent happiness. It means that pleasure and happiness come to the man who worships Indra and makes him happy. It relieves the wearer from the fear of sudden death. It induces courage and confidence in the wearer to lead an adventurous life. 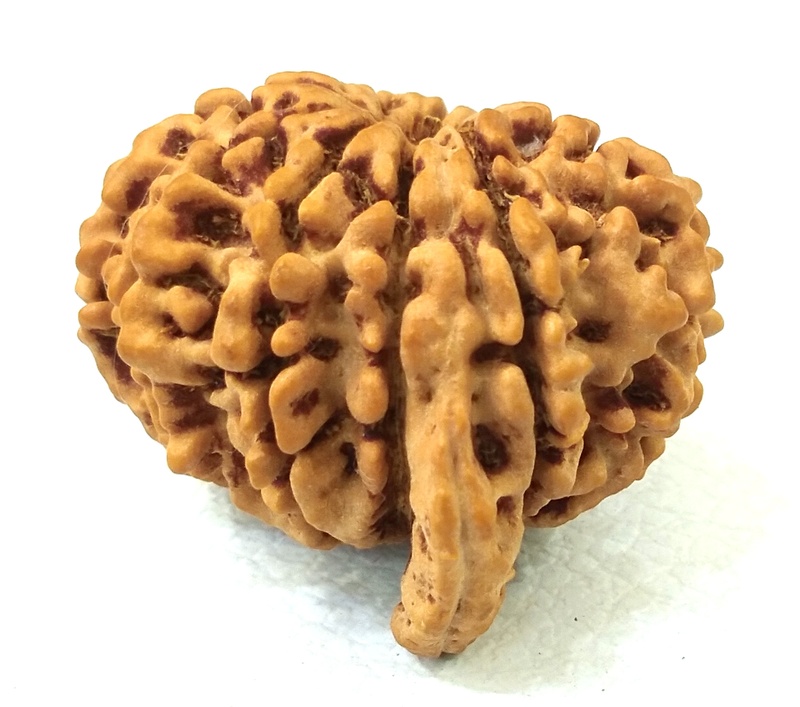 It also helps in practicing meditation and religious rituals and removes the problems of yogic practices. 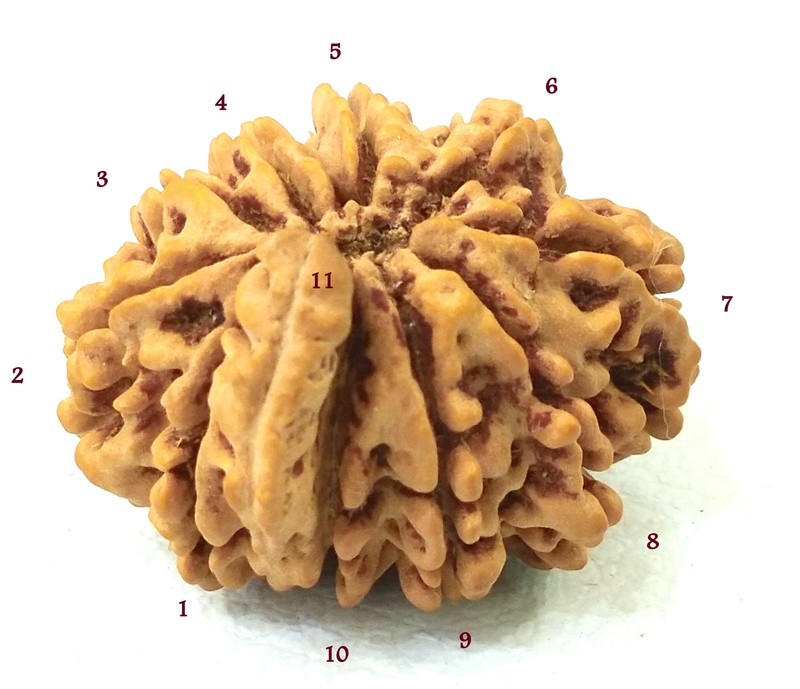 11 mukhi Rudraksha represents the 11th rudra which is Lord Hanuman. According to ancient texts the fruit obtained after performing 1000 Ashavamedh Yagya and 100 Vajpaye Yagya is obtained instantaneously by wearing this bead. The wearer is blessed with wisdom, right judgment, powerful vocabulary, adventurous life, fearlessness and success. It helps in Meditation and yoga sadhanas by removing problems in Yogic practices. Gives self control of all senses and thus removes addictions. According to Srimaddevibhagawad, Lord Indra also rules this rudraksha. The wearer gets power, name and fame and material comforts. 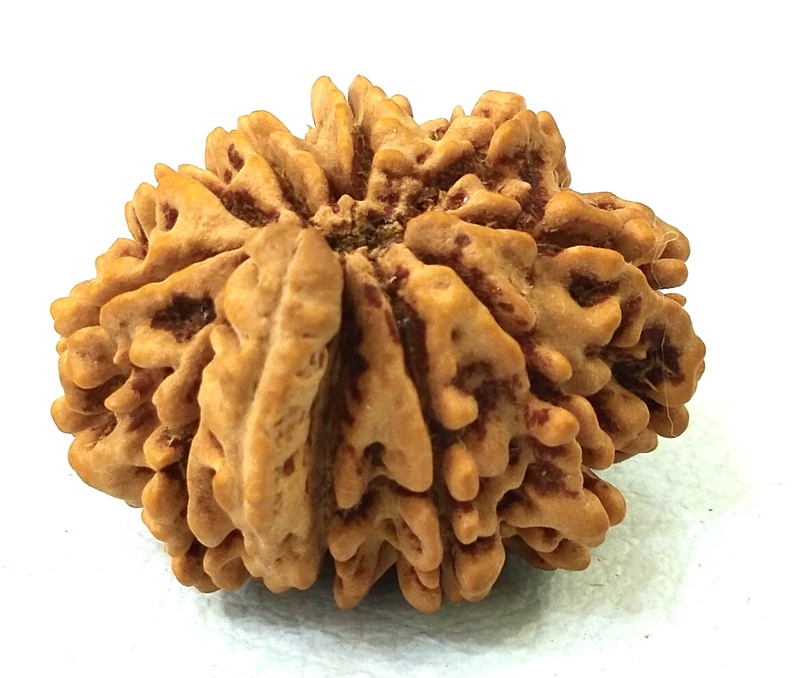 This powerful Rudraksha bead is worn to provide relief from all planets. 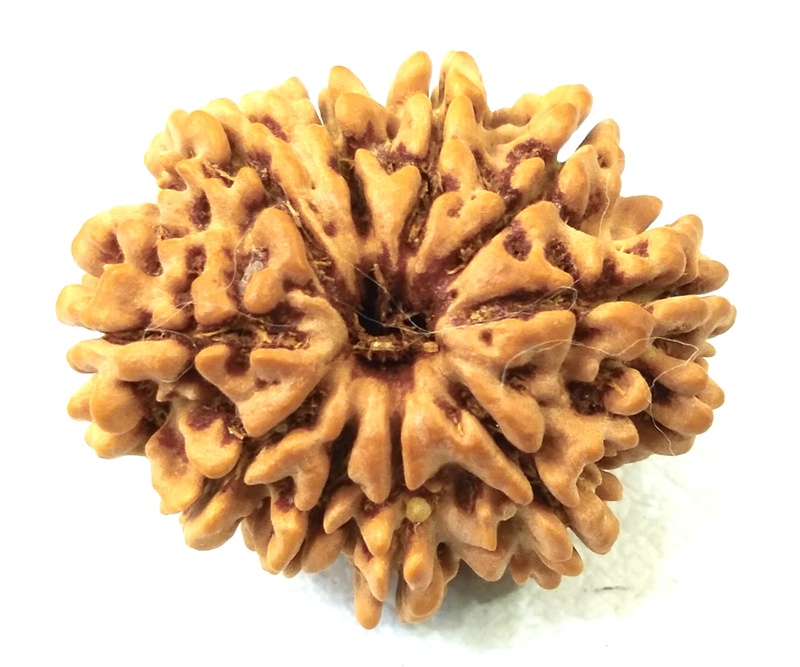 Take one bead of eleven faced Rudraksha, cap in gold / silver or panch dhatu and string in a red thread. It should be touched to the Shivalinga and should be worn chanting the mantra.